Lydia Darragh shares much in common with Betsy Ross. Both were Quaker woman who supported the war effort and both were read out of their meetings because of that support. The place of both in history is challenged because there is no concrete proof of their stories — instead, a family member brought each one's memorable act to light. In Darragh's case, it was her daughter Ann who recounted the story years after it played out. Since Ann's telling has some information which doesn't gibe with other accounts, some historians have dismissed it outright as a concocted tale. Shortly after the British arrived, Major John Andre knocked on Darragh's door and ordered her to move out of the house so that it could be used by British officers. Lydia had two children to take care of and no place to go. She had already sent her two youngest children to stay with relatives. She decided to visit Lord Howe personally and ask for his permission to remain in her house. On the way, she met up with a British officer who serendipitously turned out to be a second cousin, Captain Barrington, from Ireland. Due to Barrington's intervention, Darragh was allowed to stay in her home provided she kept a room available for British officers to hold meetings. So it was, on the night of December 2, that her house served as a conference center for top British Officers. The officers listened attentively as Howe fine-tuned his plans for a major offensive against Whitemarsh on the 4th. General Howe, acting on information from his spies, heard that the Americans were moving to a new camp. He wanted to catch the Americans out in the open. Also listening attentively was Lydia Darragh, who had positioned herself in a linen closet abutting the meeting room. Among those at Whitemarsh was Darragh's oldest son, Charles, who was serving with the 2nd Pennsylvania regiment. As the meeting was breaking up, Darragh sneaked back to bed and feigned sleep. 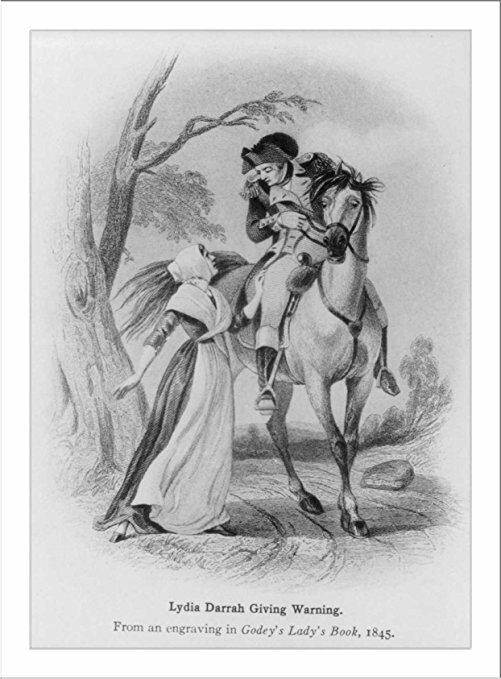 Major John Andre knocked on the door at two different intervals, but she did not respond. On his third knock, she opened the door and acknowledged Andre who told her the officers were through with their meeting. Lydia Darragh had two days to warn the Americans at Whitemarsh of the upcoming attack. She concocted a ruse. 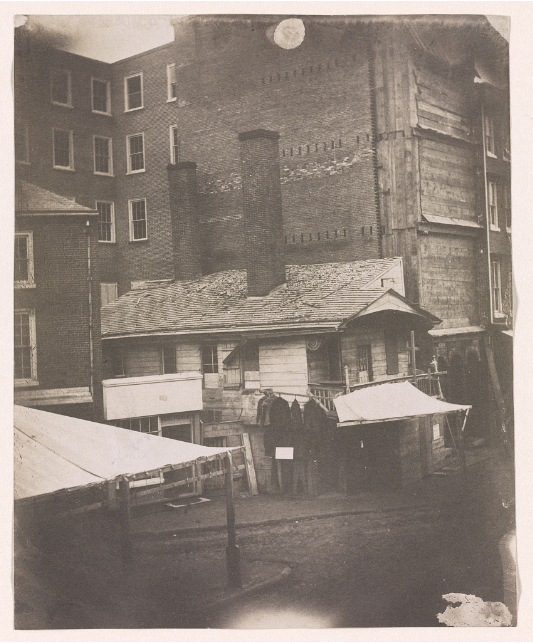 She went to Howe's headquarters and requested a pass from her cousin to go and get flour at a mill in Frankford. The request itself was not that unusual, as the poor were frequently given passes to purchase goods in the countryside. Darragh set out early on the morning of the 3rd carrying an empty flour sack. She walked several miles through the snow before heading toward the Rising Sun Tavern, which was north of the city. According to her daughter, Ann, shortly before she reached the tavern she ran into Thomas Craig, a member of the Pennsylvania militia and acquaintance of her son Charles. She passed on her news of the British plans to Craig, who promised he would take it to General Washington himself. But Elias Boudinot, Commissary of Prisoners, who was dining at the Rising Sun Tavern, told a different story. "After Dinner, a little poor looking insignificant Old Woman came in & solicited leave to go into the Country to buy some flour — While we were asking some Questions, she walked up to me and put into my hands a dirty old needle book, with various small pockets in it." Boudinot told the woman to wait for the answer to her request, but she left in the interim. Boudinot poked through the book failing to find anything useful until he got to the last pocket where he "found a piece of paper rolled up into the form of a pipe shank. On unrolling it I found information that General Howe was coming out the next morning with 5,000 men, 13 pieces of cannon, baggage wagons, and 11 boat on wheels. On comparing this with other information, I found it true and immediately rode post to headquarters." Boudinot's telling of the story appears in his private journal. It differs from Ann Darragh's telling of the story in many details, particularly who transferred the message to Washington. Ann's account comes with a kicker, though. It was obvious to the British that the Americans had been well-prepared for their attack and further knew when they were coming. Somebody had leaked word and the British were looking for the source. Several suspects were questioned including Lydia Darragh. On December 9th, Major Andre, the spymaster who would recruit Benedict Arnold to the British side, knocked on Darragh's door once more. Andre asked Darragh if anyone had been up on the night of the 2nd. She told Andre that everyone had been asleep early. Andre believed her. He left saying, "One thing is certain the enemy had notice of our coming, were prepared for us, and we marched back like a parcel of fools. The walls must have ears." The Quaker housewife had outwitted the British spymaster.